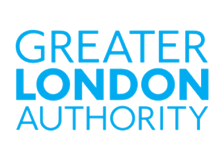 Statutory consultation arrangements for developments that might affect a Protected Vista are prescribed by the Secretary of State and reproduced in the Mayor of London’s LVMF SPG. Development in the background of a Protected Vista outside the formal consultation area can however impact on a strategically important view and this dataset sets confirms where new development might be visible within a Protected Vista depending on its height and local topography. The Mayor of London has sent this map to every Local Planning Authority in London asking them to consult the Mayor where buildings are proposed within these extended background areas so he, relevant authorities and consultees can be satisfied that no harm would result.